In a post just recently made, in which I advertised an upcoming discussion on Medjugorje to be on Catholic Answers Live (March 24), hosted by Patrick Coffin, with Patrick Madrid, someone with the "handle" "LoverofLife" suggested, in the comment box, that I was sowing division with my "continued cynicism". Louis Bélanger decided to address LoverofLife, in a series of comments left in that thread. A reader emailed me, suggesting that I make a post of those comments combined into one blogpost, and I was in agreement after seeing the details he provided. He also raises some questions for dialogue, and I want this comment box to be for those who actually read his entire entry and want to engage in discussion on specific points. I won't reject objections, but those objections need to be based on something specific, not generalities. He is the editor of The Hidden Side of Medjugorje (originally in French under the title: La face cachée de Medjugorje- a 419 page book, copyrighted in 1989, containing 16 original transcripts). Many other books on Medjugorje written in recent years point to this book, which is more like a text book in terms of the documents and notes it contains (over 200 pages). These include a recent hot-seller: Understanding Medjugorje by Donal Anthony Foley, and an online book by Michael Davies: Medjugorje, After 21 Years (free for download since the author passed away before it went to print). Louis Bélanger was born in Québec City in 1941. After his studies in political science at Laval University, he pursued his research in the fields of psychology and parapsychology at Freiburg University in Germany. Since 1975, he has been conducting the study of paranormal phenomena at the University of Montréal's Faculty of Theology. He has also written Psi, au-delà de l'occultisme [Psi: Beyond the Occult], published by Québec-Amérique, and has presided over film-lectures of the motion picture version throughout Québec, Europe, and French speaking African countries. He has been scientific consultant and researcher for the production of 55 film documentaries on paranormal phenomena and controversies in science. Louis Bélanger is the editor of The Hidden Side of Medjugorje. The author of the prospective Volume II (Observations of an anomalist) visited Medjugorje, filmed the visionaries during four of their «ecstasies» and explored various physical and psychological hypotheses to explain both the luminous phenomena and visions as not supernaturally caused. He illustrates the sequences of a spontaneous test done during an «apparition» and analyses their consequences. He invokes the testimony of critical witnesses, as well as the opinion and work of expert specialists. From the matrix of his special interest in altered states of consciousness, he proposes his own experimental counteranalysis of the «scientific and medical studies.» For example, an «ordinary» student is shown doing a laboratory reproduction of the «ecstatic electrophysiological parameters» identical to those recorded in the young Yugoslavian visionaries. Important sociopolitical, ecclesiastical, and economic factors, as well as the high stakes for Marian propagandists and the overt manipulation are introducted and explored. In all, Louis Bélanger provides readers with a complete overview of Medjugorje's apparent anomaly: on a fine June day in 1981, two teenaged girls, moved by the sincerest hopes, incited a collective drama which has drawn millions of believers in search of tangible expressions of the spiritual dimension. Who is the author of The Hidden Side of Medjugorje (Volume I)? Fr. Ivo Sivric. 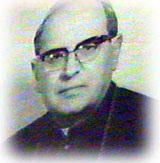 Father Ivo Sivric was born in Medjugorje in 1917. After completing his studies in philosophy and theology in Mostar, he was ordained in 1941, and then went on to complete his postgraduate studies in Zagreb and Rome where he received his doctorate in Sacred Theology in 1947. 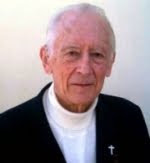 Father Sivric emigrated to the United States, taught at Duquesne University in Pittsburgh, and has also written several works, including Bishop J. G. Strossmayer - New Light on Vatican I (1975), The Peasant Culture of Bosnia and Herzegovina (1982), both published by the Franciscan Herald Press in Chicago, and Temelji krscanstva C.S. Lewisa [The Christian Basics According to C.S. Lewis] (1988), published by Teoloska Biblioteka in Sarajevo. After becoming a U.S. citizen, Father Sivric made eight extended trips to Medjugorje. He served as director of Croatian Franciscan Publications and he worked as a parochial vicar of a parish serving the Roman Catholic Croatians in St. Louis, Missouri. Father Ivo Sivric passed away October 28, 2002, at age 85. 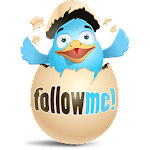 I have emboldened a few names and other things to draw attention to them. I have also broken up large paragraphs which may have been difficult to read, into smaller paragraphs in a few places. The pictures were added, similarly. I feel so sorry for you and your continued cynicism that seeks to divide rather than unite. Not you, but your allegation seems to me rather cynical : it implies a «general distrust of the integrity or professed motives» of Diane. «When the young lawyer was about twenty-four, one of the Auditors of the Rota, a fellow Bolognese named Alessandro Caprara, chose him as his assistant, and enabled him to learn among many other things the intricate and painstaking procedures involved in canonization. 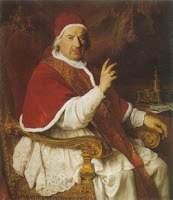 As Caprara also served as a consultant to the Congregation of Rites, he was able to give his junior colleague access to numerous records of past canonizations, records of which Lambertini made the utmost use in his own work. Sighinolfi tells an anecdote of this stage of his career which, though no source is cited, is so much in character as to deserve quotation. «It concerned an old nun noted for her austerity, who was said by her convent to be able to live without eating. The Cardinal Protector of her Order believed the tale, and Pope Innocent XII, who died in 1700, deputed Caprara to investigate the case. He went to the convent, taking his assistant with him, and examined and cross-examined all the sisters and lay sisters 'from Prioress to kitchen maid'. Their evidence seemed to confirm that the old nun had in fact eaten nothing for a month. She herself was questioned last of all, and her replies seemed entirely satisfactory. Lambertini then asked his senior if he might inquire about a matter that had not yet been raised, and on being given leave to do so said point blank, 'Mother, do your bowels open every day ?' Though much taken aback at this indelicacy, she answered firmly, 'Yes, of course.' 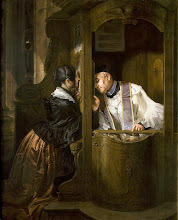 He pointed out that this would be impossible if she had nothing in her stomach, the inquiry was re-opened, and the story was shown up as a complete fabrication, intended to give the convent publicity and alms. » Cynicism of the young Lambertini ? 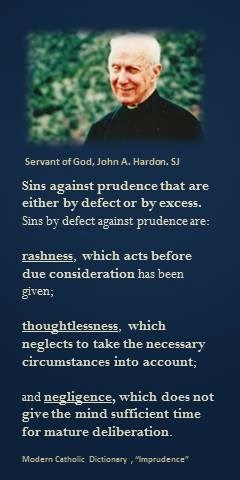 Or discernment ? What if the Lambertinis of this world, experts of three Commissions and the 20 bishops of the ex-Yugoslavian Episcopal Conference have found artifices that led them to the non constat de supernaturalitate ? That meaning what it is : the supernaturality of the so-called apparitions and revelations has not been proven. In other words : it has not been proven that a supernatural being has appeared and is appearing (the Virgin Mary, Jesus, Satan, angels...). At best, according to the Zadar declaration, one could say that the six visionaries have had more than 40 000 visions of undetermined non-supernatural entities. Cynicism of so many qualified experts and bishops ? Or discernment ? Let me lift the veil of some artifices examined by the members of the Commissions [emboldened -- DK]. The end of the «apparitions», announced for and on July 3, 1981. According to the Croatian visionaries' tape recorded declarations, the «Gospa» announced, on June 30, 1981, that she would appear to them three more times. On July 3, ten days after the beginning of the happenings, the visionaries all confirmed, before five adults, three of whom were priests, that their meetings with the entity were once and for all over. However, almost 30 years and more than 40 000 visions later, the encounters with the entity continue to attract millions of pilgrims. What has happened? This anomaly demands an explanation. From the outset, some renowned experts furnished their versions of the facts in a «basic book» which quickly became the 1984 runaway bestseller on Medjugorje. The French mariologist, Father René Laurentin, and the Croatian exegete, Father Ljudevit Rupcic, O.F.M. signed «the gravely serious evaluation of these apparitions, guided by spiritual observation and a scientific method.» Nevertheless, contradicting their own estimate, the professional historian and the Franciscan exegete omitted informing their 85,000 readers of the existence and content of documents and testimony bearing witness to the 1981 announcement and confirmation of the end of the apparitions. This, with full knowledge of the case. The indulgent observer might probably forgive the isolated ethical breach, but what could he say about the chronic repetition of the offense? A distressing illustration of this can be found in a central source, the first part of the Diary of Vicka, one of the visionaries. Readers will be able to compare the complete reprint (in Appendix 4 of The Hidden Side of Medjugorje) with the theologian's touched-up version disseminated in his Chronological Corpus of the Messages. Thus, for the dates August 22 to September 6, 1981, twelve entries out of sixteen of the Corpus have been altered by the suppression of more than 1,100 words relative to the communication of the entity, and to its context. The references to the three entries of August 31 and September 5 and 6 have been totally omitted. Well, these are a few of the fully documented facts that have been considered by the members of the first enlarged Diocesan Commission and the last one that has lead to the Zadar Declaration. Bishop Pavao Zanic has found himself enmeshed in polemics with Father Laurentin and some of the Medjugorje Franciscans, since he first drew attention to their manipulative outbursts. Has not the expert-historian to bear responsibility for his mockery of history and his keeping secret the «chaff» he separated from the wheat ? Two theologians have also had a voice in the matter: Father Petar Krasic, vice-provincial of the Herzegovina Franciscans, and Father Ljubo Lucic, a professor in Sarajevo [emphasis in bold -- DK]. Some time after the dissolution of the first Commission of inquiry on which they had sat, these two Franciscans freely expressed certain major difficulties which had moved the majority of the members to decide against the supernatural character of the events under analysis. The Commissioners had brought up some of the «evident contradictions» between the different versions of the entity's messages given by the visionaries, the incompatibility of certain messages with the New Testament, and «thirteen apparent cases of deliberate and conscious lying» on the part of the visionaries. These declarations, coming as they do from Franciscan members of the first Commission, are important, since they contradict the fallacious explanation according to which «the principal cause of the Bishop's change of opinion» (and, by extension, of the negative vote of the Commission members), would be «the complex interferences of an old diocesan conflict with the Franciscans.» The «Herzegovina case» is certainly one of a number of factors which could bear on the events in Medjugorje, but it has nothing whatsoever to do with the courageous testimony of the two Franciscans, who, in collaboration with their secular priest confreres and the Bishop of Mostar, have taken into consideration the above cited objections in light of their own value. Sensus episcopi (Peric) : The bishop of Mostar who has authority on Medjugorje, in collegiality with his predecessor, has already made and published his own discernment on the case, as it is his prerogative, [rules by Benedict XIV] with the help of almost 40 members of three different commissions and 19 bishops of former Yougoslavia who have arrived at a non constat de supernaturalitate in 1991. That discernment is the last and only one in force until today, confirmed by the Episcopal Conference of Bosnia and Herzegovina. 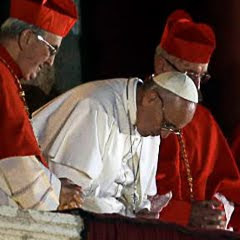 Sensus cardinalis (Schönborn) : The visionaries, their counselors and pastors, some bishops and cardinals seem to not respect the rules and the spirit of that decision. The visionaries travel outside of their diocese pretending that their visions are of supernatural origin. Some bishops and cardinals, like Cardinal Schönborn, Archbishop of Vienna, spent days recently in Medjugorje, without even informing the Ordinary or asking for his permission, and said, wrote and preached, even in televised interviews, that these visions must be of supernatural origin, because they last since almost 30 years without being «condemned» by the Church. As far as I can understand what Card. Schönborn wrote in the truncated fax published by Msgr Peric on his diocesan site and on Diane's Blog, the so-called excuse is an inference, not a proven fact, and it is what troubles me most. 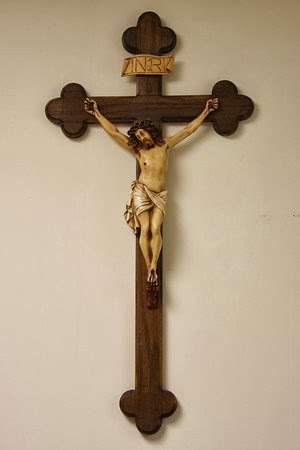 "Es tut mir leid, wenn Sie den Eindruck haben, meine Wallfahrt nach Medjugorje habe dem Frieden geschadet. Sie können sicher sein, dass das nicht meine Absicht ist"… "I regret that you have the impression that my pilgrimage to Medjugorje has harmed peace. You can be sure that it is not my intention…"
Again, it would be Bishop Peric's fault to have misinterpreted Cardinal Schönborn's "pilgrimage" in the diocese of his colleague… No excuse there, rather a provocation, a coup de force. Please note : the translation in English that has circulated ends with the following words : «… You can be sure that it was not my intention. » In fact, he writes : «… that it is not my intention.», two weeks after his «private»/public pilgrimage to Medjugorje». What seems important to him is not the punctual past event --- his pilgrimage, a word deliberately chosen --- but rather his state of mind, his actual position on Medjugorje which, I submit, is in discordance with the Zadar Declaration. My heart is pounding in front of these terrible choices : «vitality» or «hypercriticism», «fruits» or «truth». It appears that Cardinal Ratzinger was more appreciating the «vitality» than the «modern hypercriticism» in that short paragraph. I may err. But I remember that Cardinal Ratzinger confided the dossier of Medjugorje to the Yugoslavian Bishops Conference one year after The Ratzinger Report . The «hypercriticism» of the Second enlarged Commission didn’t seem to shake his decision as Prefect of the CDF to refer the case to another level. All of this is a matter of appreciation which I have no time to develop here. But I would be very interested to read commentaries of Diane and her readers. « We would like to say nothing about the doubtful or even bad fruits. But the truth obliges us to say that they exist. 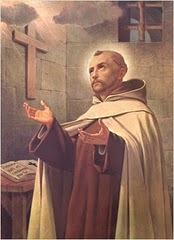 Let us quote, as examples, the calling into question, even to the point of defamation, of the Local Ordinary as well as the disobedience with regard to his legitimate authority; the exacerbation of the Herzegovina 'question' following the words attributed to "the Gospa", words in favour of the Franciscans and against the Bishop. « In conclusion, allow me to make the following reflection: I have no authority to pronounce any ecclesial judgement whatsoever on the events of Medjugorje. I am therefore the first to have to give an example of obedience, notably in respecting the pastoral decisions of my confrere of Mostar and in complying with joy to his wishes. 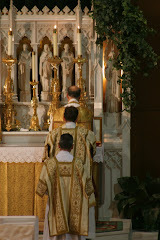 My wish, which I share with you, is to be able to further in my diocese a real renewal of Marian piety, in having frequent recourse to the habitual means which the Church puts at our disposition and which the Holy Father does not cease to recommend to us. Accompanying Bishop of the Association of Marian organisations. As an ordinary layman, I would tend to side with Bishop Brincard instead of Cardinal Schönborn concerning the correct attitude to adopt in such a situation : not participating to an activity or organizing one that would encourage rebellion against the legitimate authority. And this is precisely the message that Diane is delivering with courage and perseverance in her Blog since many years. It seems to me appropriate to acknowledge her untiring devotion to discernment. Yes, in a way, you are right, "LoverofLife", she «separates», actually not people but objects of thought, truth from lies, the wheat from the chaff, in the line of Benedict XIV's heritage. This is the proper meaning of discernment which is not «only» the prerogative of experts, bishops and «even» cardinals, as the sensus fidelium --- understood as sensus fidei --- implies and permits. Indeed we are not separated and should not be divided : From now on, no more lying : that each one speak the truth to his neighbour; aren’t we members of one another ? Ephesians, 4, 25. With regards to getting copies of The Hidden Side of Medjugorje (Volume I), you won't find it at popular outlets, and if you do it will cost you one arm and on leg (some are charging as much as $250 for, used). I've watched the price climb from $70, to $100, and now to $250 in used versions because it is hard to get. However, I believe you will be able to get The Hidden Side of Medjugorje, new, in the not to distant future at a much more reasonable price, so stay tuned if you are interested in a copy.